Become an Ark-La-Tex Ambassador Today! Interested in becoming an Ark-La-Tex Ambassador? Serve your local community by participating on committees which plan, coordinate and organize events such as Holiday in Dixie and Grillin’ for Grads BBQ Cookoff! Attend Social Membership Events throughout the year as we celebrate our impact and contributions to the community! Collaborate with local area business professionals, community leaders, public/private entities and volunteer organizations by attending our networking events! 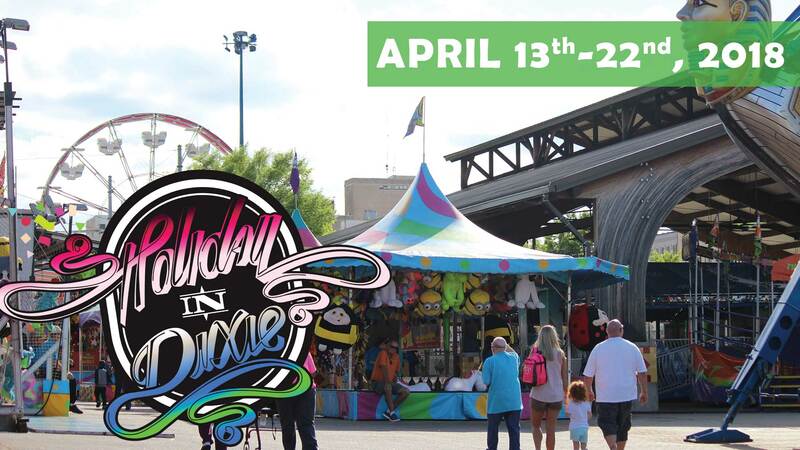 Holiday in Dixie is a multifaceted spring festival celebrating its 70th year in the Shreveport area, making it one of the oldest running festivals in Louisiana. The spring festival running from April 13th – 22nd, 2018 is a full schedule of merriment and activities with “something for everyone.” Holiday in Dixie 2017 is comprised of the ever popular KTBS Channel 3 Treasure Hunt, the Classic Parade, the Carnival at Shreveport’s Festival Plaza and our newest event, Ark-La Tex-Ambassadors BBQ Cook Off “Grillin for Grads”. The festival is sponsored by community businesses, our sponsors and the members of the Holiday in Dixie Ambassadors.